Email is still the number one form of communication in today’s world. Because of this, it makes sense that businesses would try to utilize this method to reach out to customers and leads. If you want to stand out from the crowd with it comes to sending emails, you need to include personalization in your messages. As with any marketing tool, the goal of email is to drive traffic back to your site with the intention of increasing conversions or sales. To accomplish this goal, you need to ensure that what you include in the email, from the content to the subject to the email itself, is clickable. One of the best ways to do this is to personalize your emails according to who they are sent. According to Hubspot, the open rate of emails with a personalized message was 6.2% higher than emails that included no personalization. We’ve already discussed the importance of sending your emails to specific lists; now we’ve investigated ways to personalize each email for each customer with the end goal of increasing click rates. 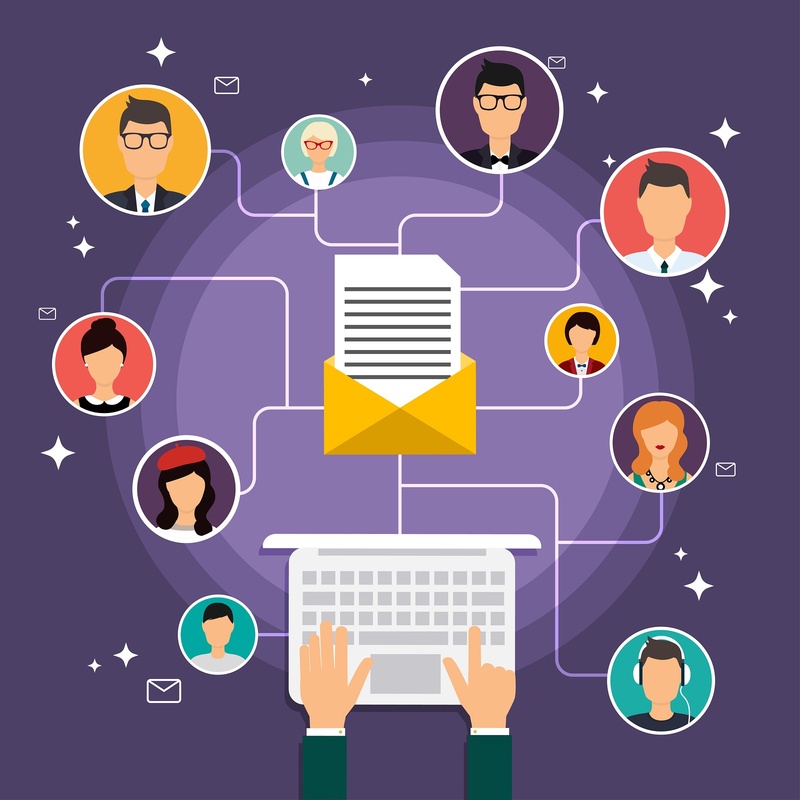 Studies show that emails that include a person’s first name in the subject line have a higher overall click through rate than emails that do not. By including a person’s first name in the subject line, you immediately grab their attention before they even open the email. It feels like a message from a friend and they will be more inclined to open the email right off of the bat. Another place to include a person’s first name is in the salutation line. Imagine receiving an email that started off “Hello Valued Customer.” If the company can’t even be bothered to say your name, you probably won’t feel that valued and won’t be inclined to continue reading or interacting with the email. However, if the email begins with “Hi Amy,” you would take notice and maybe continue reading since this email is obviously directed towards you. Just as a caution, be sure you don’t go too far with personalizing names. A customer’s first name or company name is fine, but anything more than that might be considered invasive. In the same line of thought as personalizing who the email is for, you want to personalize who the email is from. When people get emails from a company name or a no reply email address, it feels very impersonal and inauthentic. People respond best to companies who are authentic in their communication and that translates to email as well. When sending out email communication, be sure that the email is coming from a specific person with a personal email. This is another way to increase engagement because people respond better to personalized emails as opposed to company emails. Another way to grab the attention of your consumers with email is to send out email communication on certain dates. If you work with a program that allows you to send automatic emails, this is an easy set it and forget it way to make an impression. Dates to remember include a subscriber’s birthday or the day they first started getting your emails. Other dates could be your company’s birthday or other significant company dates. By celebrating these occasions with your customers, especially if you do it in a way that drives them back to your website through a coupon or other incentive, you will increase your chances of improving your click rate. If you are a retail company or offer a variety of services, a great way to include personalization is by offering customers items or services similar to ones they’ve purchased in the past. Because email is a main source of communication today, it is very hard to grab your customers’ attention. Studies show that only 21% of consumers reported seeing a memorable promotional email in the past two months. If you want to stand out in your customers’ inboxes, you need to include personalization to grab their attention. One of the best ways to ensure your emails are going to the right person is by having a up-to-date buyer persona. Create yours with our free template.